1 Results exactly matching the search phrase. 2 Results matching titles words. 12 Results matching product descriptions. 3 Results matching title or description. The HDMI Scaler and Format Converter is designed to scale HDMI sources (either HD or PC resolution) to an alternative HDMI resolution (PC or HD), is HDMI and DVI compliant and is perfect for the integration of sources where resolution and/or resolution type requires conversion. 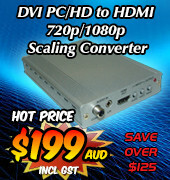 New HDMI to CV/SV Scaler with HDMI Bypass (Apple Compatible) is designed to convert the digital input signal from an HDMI (or DVI) video source to analog Composite and S-Video output signals. The output analog CV and SV video signals can be selected in NTSC or PAL format and the HDMI to CV/SV Scaler with HDMI Bypass (Apple Compatible) also presents Analog L/R and Digital Co-axial stereo audio as outputs for connection to an external audio amplifier. The original HDMI signal is presented as a by-pass output for connection to standard HDMI equipment for monitoring purposes. HD to HDMI 1080p Scaler Box is designed to convert any digital video HD resolution to any other High Definition or PC resolution. It also converts digital/analog audio signals to digital/analog format, then outputs to HDMI, TOSLink (Optical Fibre) and Phone Jack (stereo left and right). 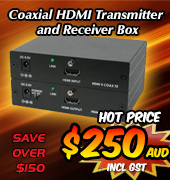 Connect your Blu-Ray DVD player or other HD output source to the input of the HD to HDMI 1080p Scaler Box and connect your HDTV to the output. Select via OSD menu the best resolution to output to your HDTV for best viewing picture. The Composite S-Video to HDMI 1080p Scaler Format Converter is designed to upscale a SD (standard definition) Analog video/audio source to a HD (high definition) Digital HDMI video/audio output signal. The Digital output signal can be selected from a wide-range of scaled HDTV and PC resolutions, up to 1080p and WUXGA. 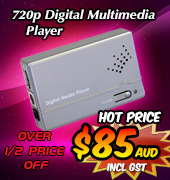 The Composite S-Video to HDMI 1080p Scaler Format Converter can also convert a Digital or Analog audio signal and then simultaneously outputs via HDMI, Optical and 3.5mm Mini-jack (L/R audio) connections. This unit has a comprehensive OSD menu that allows the user to make picture adjustments to optimize the image quality. DVI Multi-format Video Scaler accepts Composite and Super-video, PC VGA, HDMI and DVI video sources and scales the output to a selection of different Standard or High Definition PC VGA or DVI/HDMI resolutions. The HDBaseT PC/CV Scaler Format Converter over CAT5e/6/7 Transmitter (with 5 Play Convergence) supports the conversion of a PC or Composite video input signal to a CAT cable Proprietry Data output line-signal. The new Proprietry Data output line-signal can be format converted to PAL or NTSC and scaled to a PC VGA ~ WUXGA or a HD 480p, 576p, 1080i and 1080p resolution. 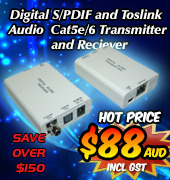 The output Propriety Data signal from the HDBaseT PC/CV to HDMI Scaler Format Converter over CAT5e/6/7 Transmitter (with 5 Play Convergence) can then be transmitted up to a distance of 100 metres over a single CAT5e/6/7 cable to a compatible HDBaseT Receiver. At the Receiver end, the converted Proprietry line-signal is presented as an HDMI interface for connection to HDMI enabled devices. The 3G-SDI to HDMI Scaler with Audio - L/R and SPDIF is designed to convert SD-SDI (Standard Def-Serial Data Interface), HD-SDI (High Def-Serial Data Interface-Dual Link), and 3G-SDI (High Def-Serial Data Interface-Single Link) to a HDMI video format for display on any standard HDMI HDTV's. An SDI pass-thru port allows for an SDI monitor to be connected, as well. The input SDI signal type is auto-detected and correct conversion techniques applied. Audio is also transported, converted and presented as Left/Right audio for connection to an amplifier or speakers. HDBaseT HDMI Over CAT Cable Receiver w/ 5Play Convergence, Scaler, Format Converter is designed to receive uncompressed video and audio signals over a single run of CAT5e/6/7 cable, up to 100m (328ft) without loss or degradation of the signal. It incorporates new HDBaseT 5Play Convergence technology for HDMI video transmission and control over CAT cable, with features like Infra-red, RS-232 and front-panel buttons control, bi-directional Power Over Ethernet (PoE) and Ethernet LAN support. The HDMI video output resolution can be upscaled or downscaled between HDMI HD 480i/p to 1080i/p and VGA PC VGA to WUXGA resolutions and finally, the video output format can be converted between PAL (50Hz) and NTSC (60Hz) TV systems. Our new Multi Video to HDMI UHD Scaler comes equipped with three video format interfaces of HDMI, DisplayPort and VGA, all of which provide for high quality up/down UHD video scaling. The scaled HDMI output supports a maximum resolution of 4K UHD@60Hz (YUV 4:4:4). New HDBaseT HDMI & VGA Video Scaler Over CAT5e/6/7 Transmitter w/ LAN/IR/RS-232/bi-dir PoE is designed to send an uncompressed video and audio data signal over one CAT5e/6/7 cable, up to a distance of 100m (328ft), without loss or degradation to the signal. The converter also allows for the up or down-scaling of the received HDMI/VGA resolution, plus PAL/NTSC format conversion, prior to transmission over the CAT5e/6/7 cable. Supports 5Play Convergence for HDMI video, audio, LAN, bi-directional Power Over Ethernat (PoE) and Control (IR & RS-232 bypass).